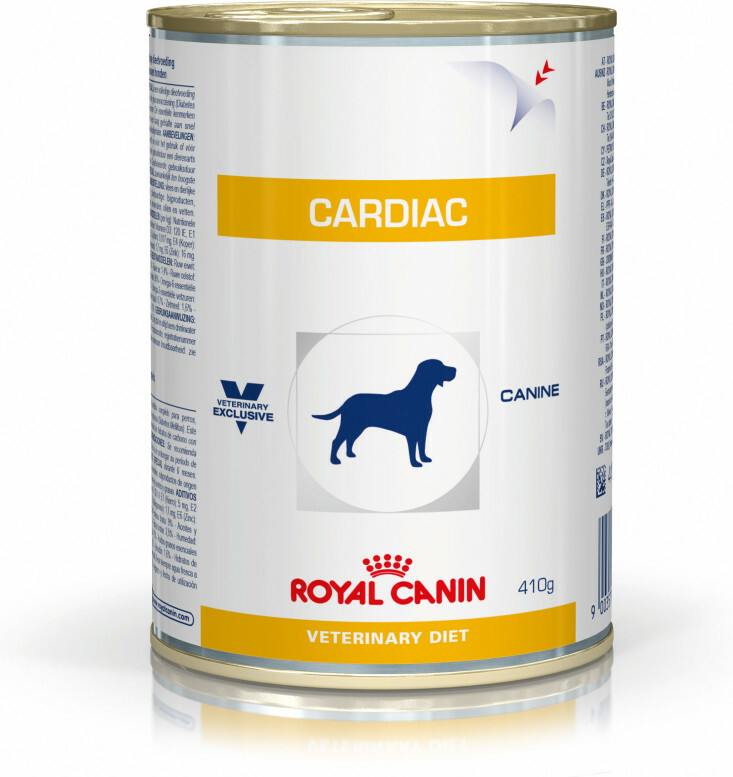 Cardiac (can) For dogs with symptoms of heart disease. 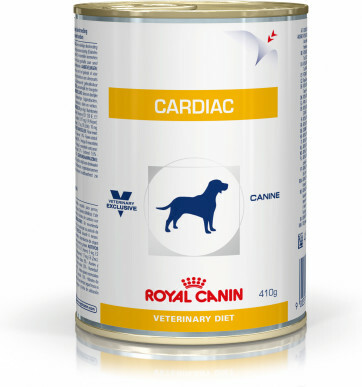 Taurine and L-carnitine are essential for myocyte function and enhance heart contractility. Low sodium diets reduce retention of sodium and water, associated with cardiac disease. 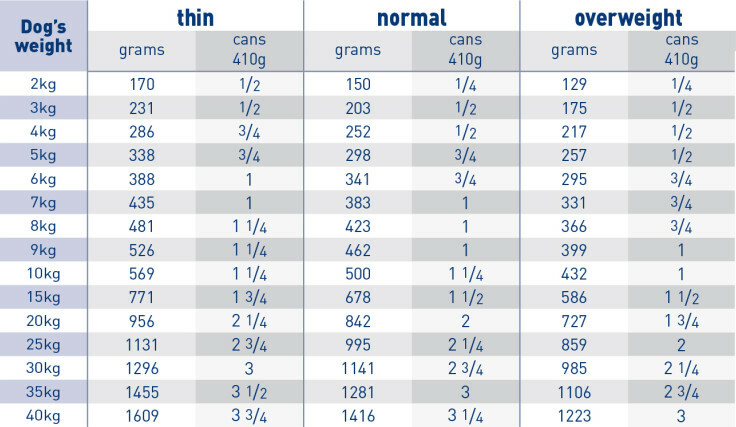 A highly restricted diet means intakes can be controlled according to disease progression. Polyphenols contribute to vasodilation and help neutralise free radicals. Sodium restriction reduces the workload of the heart. Potassium and magnesium levels are adapted to optimum clinical levels. Pork and poultry meats, pork and poultry livers, rice, fish oil, cellulose, tomato powder, carrageenan, cassia, taurine, L-carnitine, green tea extract (source of polyphenols), trace elements (including chelated elements), marigold meal (source of lutein), vitamins. Crude ash: 1.3%. Crude fibre: 1%. Crude oil fats: 7.1%. Moisture: 73.5%. Protein: 8.1%. Vitamin D3: 225IU, E1 (Iron): 12mg, E2 (Iodine): 0.5mg, E4 (Copper): 3.5mg, E5 (Manganese): 3.7mg, E6 (Zinc): 37mg. Cassia gum: 3.3g. Preservatives - Antioxidants.